How your basement is a metaphor for your unconscious mind. How the words you use show you your unconscious belief system. How midlife can be the perfect time to focus on strengths. How using your personal strengths to do things differently can change everything for you. The real way to find your purpose. How you will see your strengths grow when you focus on them. 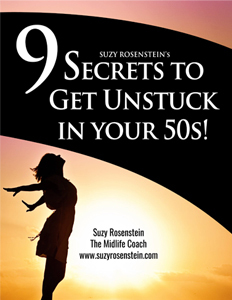 How it can be difficult to midlife women to focus on themselves. How to become who you really are. Today’s guest episode is going to give you insight into how words can help you change your life. 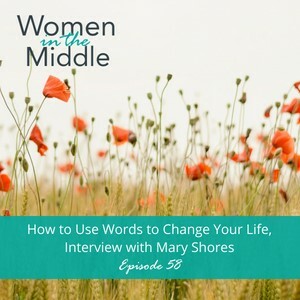 Our Women in the Middle Weekly WOW guest is Mary Shores, the author of the book, Conscious Communications. Mary’s someone who has a lot to share when it comes to empowering yourself and taking your natural skills and talents and applying them. She spends her career as an author, speaker, and entrepreneur, generating positive and pragmatic solutions for people who are freaking out. She blends personal experience with her extensive knowledge of neuroscience and human behavior to guide businesses and individuals to defeat the freak out and create their ideal life. Mary talks about how the words you use on a regular basis can really affect what happens in your life. They are a window into your unconscious mind and belief systems. She goes on to shed light on how to demystify finding your purpose. Instead, it’s a more useful strategy to focus on how to find ways to bring your natural skills out. The more you utilize your natural skills, gifts and talents, they will build like a muscle and lead to opportunities. Mary explains her work as the crossroads of where science and spirituality meet. She explains how her free “Daily Desires” download works to use the power of gratitude and your own personal experiences to leverage your personal neuroscience. She says it’s because of the way it’s related to gratitude practices and is super easy to use to help you connect to those things you want to attract into your life. She also discusses the power of orienting yourself to what’s possible; It changes everything. However, most of you know that this perspective can be challenging in midlife, especially when you’ve been in a long-term job, for example. One of the useful strategies in her book is “The 4 D’s,” 1) Desire; 2) Design; 3) Decide; 4) Detach. She explains how this approach will help you create what you want in your life. Enter the 50 Unplugged Contest! If you or someone you know is turning 50 in 2018, check out the 50 Unplugged Contest at com/50unpluggedcontest and enter! Great Prizes!